One result of the European Commission’s new measures to cap mobile roaming charges will be the end of what has become known as "bill shock". This well publicised term describes the phenomenon of opening your mobile bill with no clue as to what the cost will be – and getting hit with massive charges for those calls made abroad. As a first step to ending this, new caps on roaming charges come into force in July. By then, carriers in Europe must ensure they have the appropriate technology in place to comply with the data usage regulations. Not surprisingly this has led to a significant increase in interest roaming solutions – including those offered by Israel-based Starhome. The company is the largest supplier of roaming solutions for mobile operators, with more than 160 clients around the world, including Vodafone, T-Mobile, Orange and Telefonica. Amit Daniel, vice president of marketing for Starhome, told smartphone.biz-news that operators are understandably concerned about finding and implementing solutions without incurring penalties, disrupting existing operations or inconveniencing customers. She said that aside from the legal requirements, consumers are also demanding clear information about roaming costs to avoid becoming victims of "bill shock". "We are seeing extreme demand for these kinds of solutions from all over the world," said Daniel. "Data is one of the hottest topics at the moment and this coming year there will be lots of implementations." European mobile operators have to meet two legislative deadlines to comply with the European legislation. The first is the adoption of the Roaming II Regulation, which is set to commence on July 1. 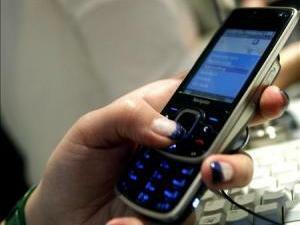 It will significantly affect the roaming industry, especially the provision limiting the Euro-SMS tariff. Subscribers sending SMSs abroad must not be charged more than Euros €0.11 cents, and those receiving SMSs in other EU countries cannot be charged. The Commission also proposed a safeguard limit (per megabyte) for wholesale data roaming fees. A second phase of Roaming II Regulation states that by March 1, 2010, operators must enable customers to pre-determine the amount they wish to spend before service is "cut-off". While the new rules require operators to change their systems, Daniel said her impression was that the industry realised it would be offering something of value and simplicity to users. She said the most obvious was control over mobile costs while roaming. "It’s a major issue for operators but it will eventually increase traffic and revenue," she said. "Consumers are reluctant to use their mobiles while roaming at the moment because pricing is too complex and they are worried about suffering from bill shock. "So many people turn off their handsets and only use them in emergencies. "The EU legislation will give customers the possibility to control expenses and determine what they want to spend in the future." Another benefit of the changes, according to Daniel, is that they offer operators the potential to stand out from the competition in terms of the packages they offer. This extends beyond just pricing to include revenue-generating services that can be offered as part of a bundle. However, Daniel said carriers were having to ensure their systems – both hardware and software – were capable of determining users’ real time usage status and how much calls were costing. "Current systems can do calculations of usage offline after a transaction has been made and record data consumption rates," she said. "But it’s not in real time. The main issue is to be able to do real time billing, which most operators do not have the capacity to do." Daniel said that the legislation essentially requires traffic usage to be monitored and measured to keep check on how much is being consumed. She said this then had to be correlated with a user’s subscription package and specific billing plan. Operators could then, for example, send a "roaming" user an SMS telling them how much they are going to be charged for using their mobile abroad. For the second phase of the EU legislation, subscribers will have the option to purchase packages from operators which are then monitored by companies like Starhome. As part of these, users will be notified if they are going to exceed agreed credit limits when using their phones internationally. To do this the operators again need to be able to access real time information on users’ mobile consumption. "This is a solution we are providing to give roaming control, both in Europe and beyond," said Daniel. A benefit for Starhome’s extensive client base was that they can use their existing platforms, according to Daniel. These are already connected to signalling and billing systems, so there is no need to integrate a new supplier – a major project in itself. Starhome offers the solution in a managed service mode, a popular option since there is a high level of liability on the operators’ side of the service. She said the company’s global operations centre carriers out 24/7 monitoring of its clients’ networks. "If something goes wrong with connections and so on, we are capable of seeing that in real time and alerting the operator," she said. "In terms of providing a service that’s really liable and always working, this is one of the areas where we have an advantage over competitors." The new rules will undoubtedly make knowing the cost of using mobiles abroad much simpler for consumers – whether the operators stand to gain from the changes remains to be seen.